New Mexico is a fascinating place. The Native Americans have been living here for thousands of years, and Hispanics have been living here at least since about the year 1600. 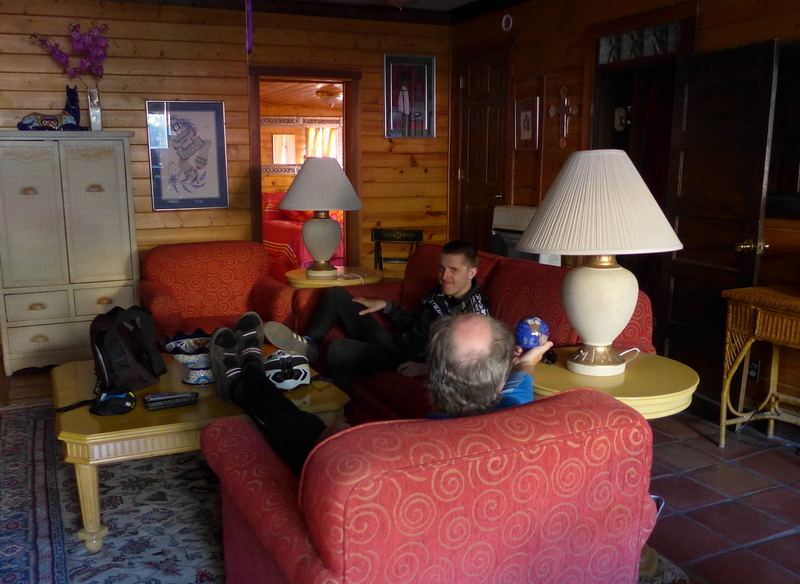 Henry and I flew out to Albuquerque in late October, and Lyman joined us from Austin TX. The weather was generally stunning; low in the thirties, high in the sixties. 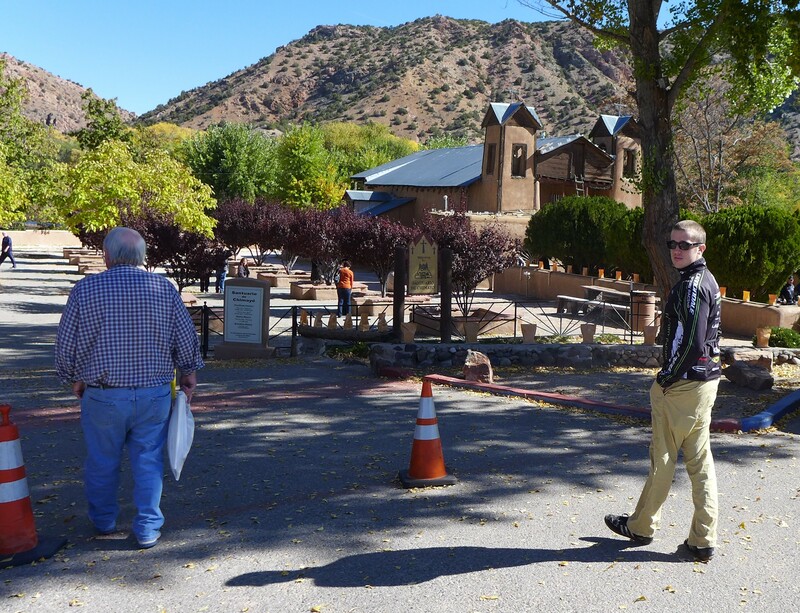 Just before biking off, we visited El Santuario de Chimayo, built around 1800, and is revered by pilgrims as a healing site. The ride on the High Road towards Taos was visually stunning, and we did not realize it would all be uphill! 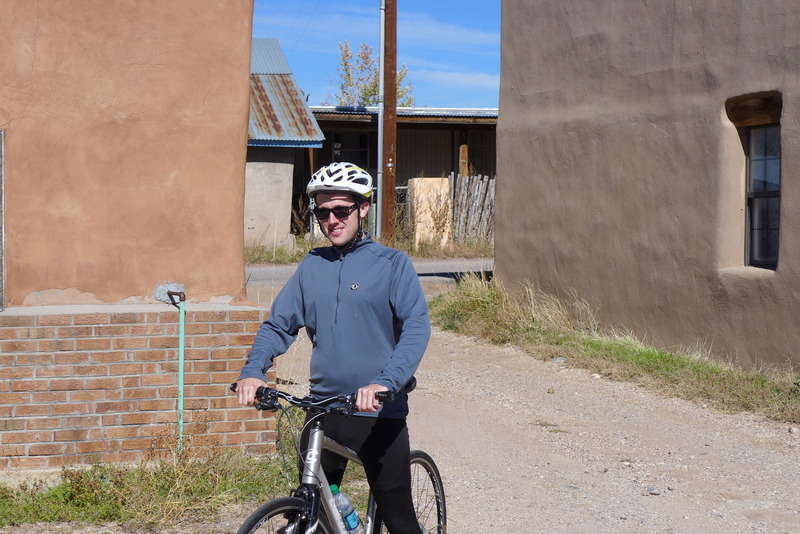 The eight miles from Chimayo to Truchas gained 2500 feet in altitude, from 6000 to 8500 feet! 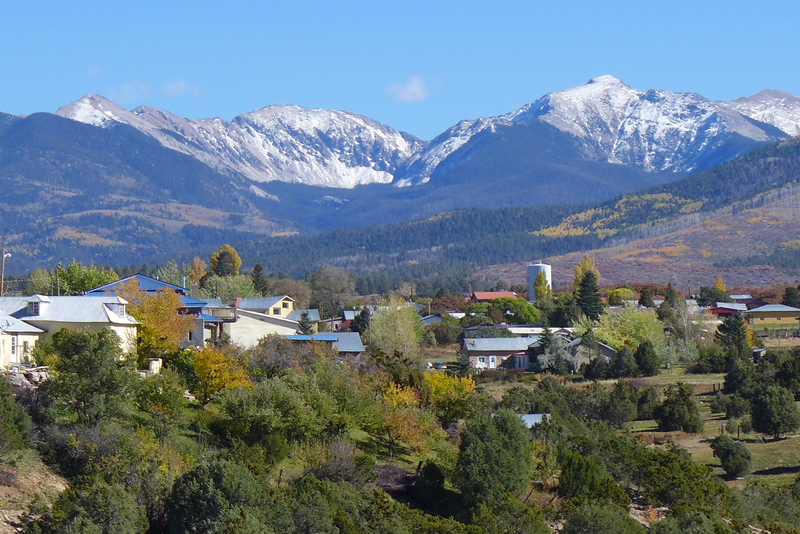 The town of Truchas looked full of artists, and had a mix of the charms of an Alpine village, a Spanish colonial town, and an Appalachian trailer park. Later that day we drove back to our Hampton Inn in Santa Fe, and prepared for the bike ride from Santa Fe to Albuquerque, to be done in two days by a back road. Leaving Santa Fe, we passed through its suburbs. Santa Fe has a very strict building code, everything has to be built to look like it is made of adobe. 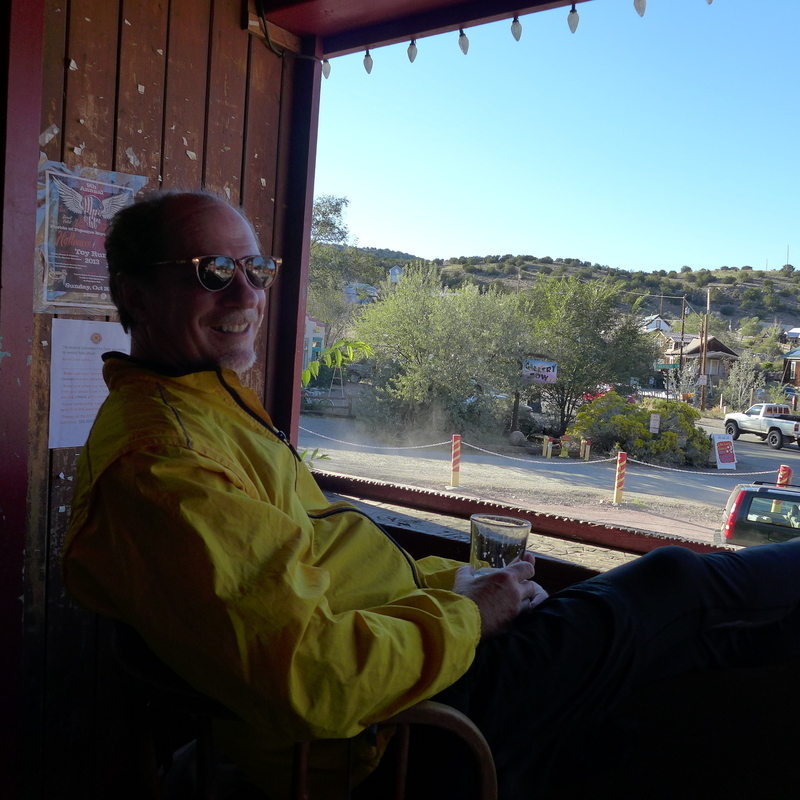 We spent the night in the former mining town of Madrid NM (pronounced MAA drid). It was a mining town until the mines closed in the early fifties. In the seventies, hippies and artists started moving in. Wikipedia says its current population is 149, but it seems like more than that. There are lots of small stores selling arts and handicrafts. It has two bar / restaurants. The restaurant The Hollar is excellent. Shrimp and grits in New Mexico, if you can believe that. Before that, we had a drink at the bar across the street. 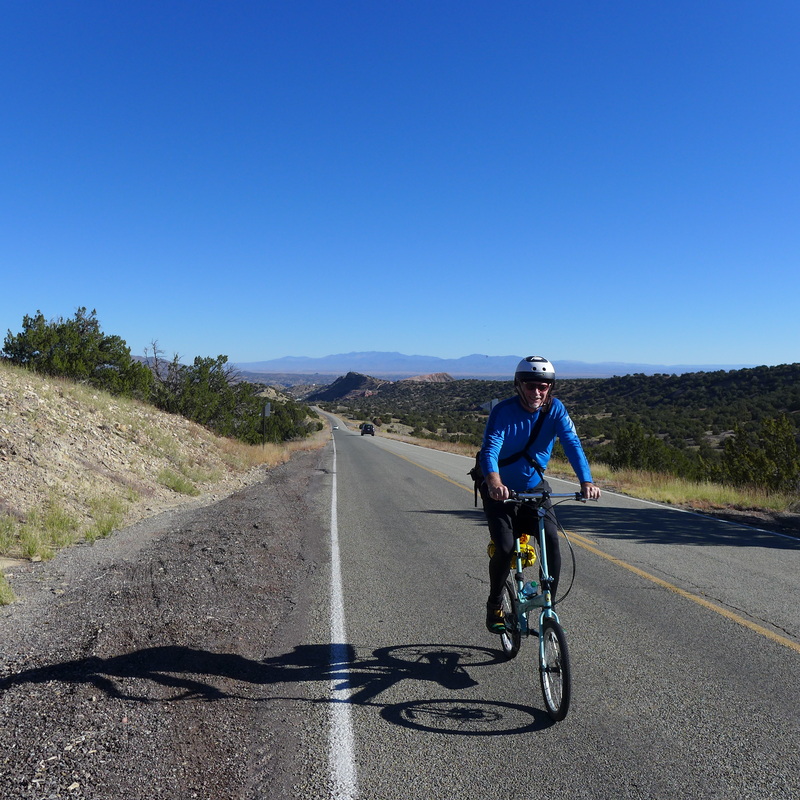 The next day’s ride to Albuquerque was over fifty miles, and included a couple of very hard mountain passes. Still, the scenery was amazing. We arrived in downtown Albuquerque about five that evening. We all had flights home at 6:00 AM the next morning. Oh fair New Mexico-We love, we love you so! Great pictures as usual. Henry looks like he enjoyed the trip.